Our first 2018 Christmas Concert! Donations received go to The Jessie May Trust. All of the Christmas concerts start the donations for our 2019 charity appeal The Jessie May Trust. Our Christmas concerts are usually the highlight of our year and often very well attended, so please arrive early to grab yourself a parking space. The concerts will cover new and traditional Christmas music; there will be something for everyone. We even give you a chance to join in with the singing too (if you wish to). Please come along and enjoy the music during this Christmas time. The St George Singers are a community choir based in Kingswood, Bristol. 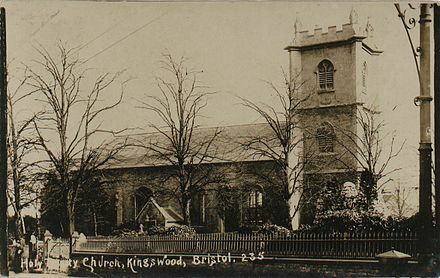 We practice singing every Tuesday at Holy Trinity Church in Kingswood. We perform our concerts on a charitable donation basis only; all donations received go to our chosen charity of the year. Our 2019 charity is The Jessie May Trust which is a charity which provides care for local terminally ill children at their home. This charity is special to us as it is the first charity appeal we supported when St George Singers started 40 years ago.